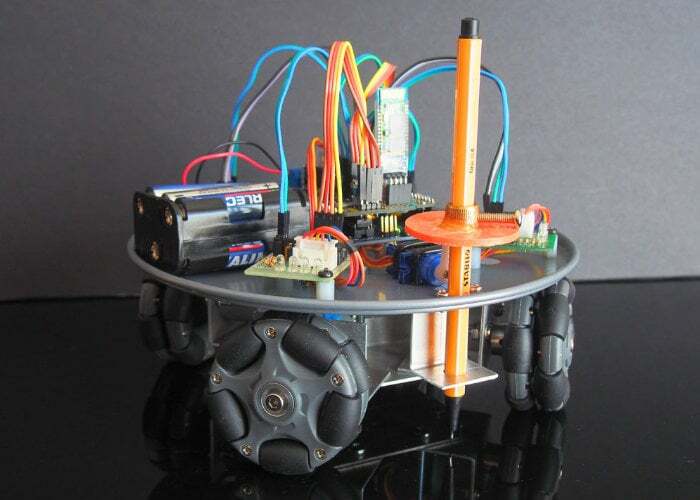 Instructables member “Lingib” has created a awesome Arduino powered Omni Wheel CNC pen plotter, powered by an Arduino Uno and Bluetooth module allowing the system to receive commands via a linked smartphone or tablet. If you’re not familiar with omni-wheels the unique wheels only provide traction in the direction of rotation. Any oblique force causes the wheel to move sideways. Check out the video below to learn more about its construction using four 28BYJ-48 stepping motors an SG90 servo connected to the Arduino development board. For more details on how to build your very own including circuit diagrams, components and code jump over to the Instructables website using the via the link below below.